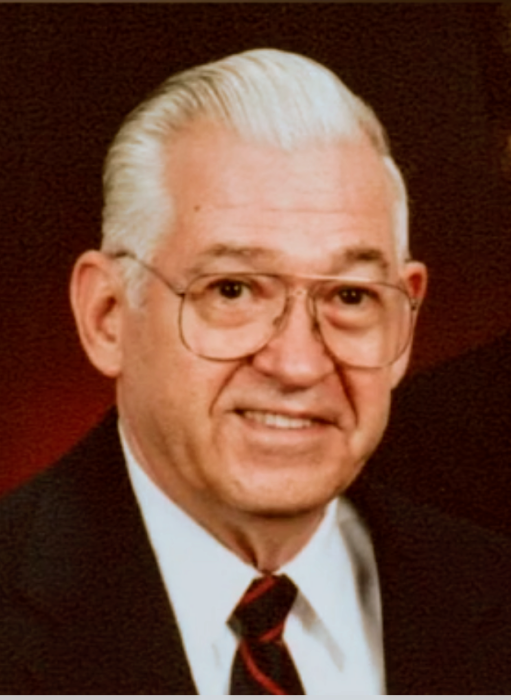 Carl Leon Kerr, 85, of Kansas City, died on August 21, 2018. He was born in Madisonville, TN, on March 31, 1933, to the late Otha Monroe Kerr and Julia Lucinda Clabough Madison Kerr. Carl had a very colorful and full life full of Faith, Family and Friends. He was drafted in to the U.S. Army on June 8, 1953 during the Korean War and was honorably discharged on April 20, 1955 as a Private First Class. He earned the National Defense Service Medal and a Good Conduct Medal. He was hired by TWA on April 28, 1952, as a mechanic and retired after 37, years of service. After his retirement he remained with TWA as a Tour guide. His time at TWA gave him the ability to travel overseas and around the world. His faith was the center of his life and he served as Pastor of several area churches and went on many mission trips throughout the United States, Africa and South America. He was part of the South Baptist Convention Disaster Relief; where he responded to disasters such as Hurricane in Florida, disaster Relief related organization, American Red Cross, Royal Ambassadors, Brotherhood Department and the Southern Baptist Convention. While serving churches and working he was actively involved in the Civil Air Patrol. He joined in 1971 Serving as a Chaplain was a passion of his, this brought about serving our God and Country. He served as Squadron Chaplain for Clay County Composite Squadron, Tri-County Composite Squadron and other Squadrons. He also served as the Group I Squadron Chaplain, Missouri Wing Chaplain, North Central Regional Chaplain and worked with the North Central Region Chaplain Staff College. Those left to carry on the legacy of love and devotion are his children Billy Jay Kerr, and his wife Sarah Karleen Kerr. Grand Daughters - Kristina Natasha King and Karla Jayne Kerr-Faughtenberry. In addition to his parents Carl is preceded in death by his wife of 56, years Carol May Loudon Kerr, who died November 20, 2009; his daughter, Wanda Basham and son James Kerr; his siblings, Virgil Venton Kerr, Lillian Irene Gamble, James Raymond (Ray) Madison, Otha Monroe (Jack) Kerr, Jr., Quenton Arnold Kerr, Melvin Luther Kerr, Kathleen Kerr, and Magadelin Kerr. Visitation will be Saturday, August 25, 2018 from 10 AM until time of service at 11:30 AM at Terrace Park Funeral Home, 801 NW 108th St. (169 Hwy & Shoal Creek) Kansas City, MO. Interment with military honors will follow at Terrace Park Cemetery. In lieu of flowers memorial contributions may be made to The Missouri Veteran’s home, 1111 Euclid, Cameron, MO 64429 or the Alzheimer’s Association ALZ.org . Share online condolences at TerraceParkFuneralHome.com.